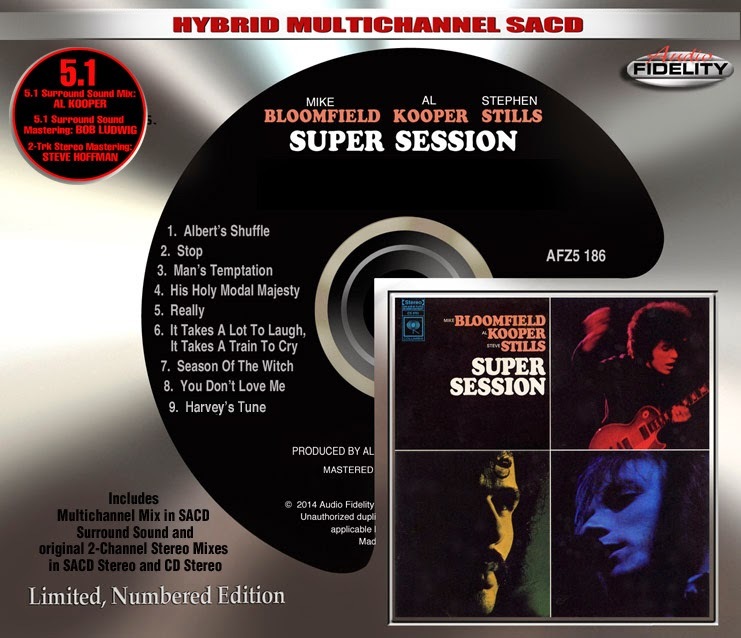 Audio Fidelity To Release 5.1 Multichannel Hybrid SACD of Mike Bloomfield - Al Kooper - Steve Stills 'Super Session' Album Mixed By Legendary Al Kooper! "...one of those albums that seems to get better with age...a super session indeed!" 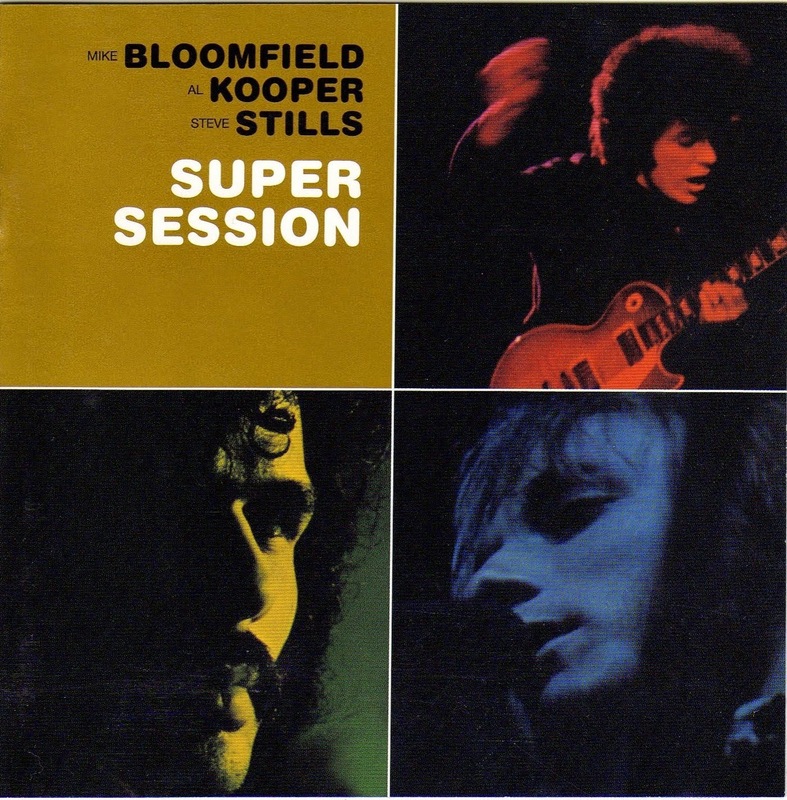 Camarillo, CA – Marshall Blonstein's Audio Fidelity will be releasing a limited numbered edition 5.1 Multichannel Hybrid SACD of the legendary Mike Bloomfield - Al Kooper - Steve Stills 'Super Session' album! Al Kooper was an A&R executive with Columbia Records in the early 1960's after leaving the group Blood, Sweat & Tears. The Super Session album was conceived as a jam session with Kooper on keyboards and former Paul Butterfield Blues Band member Mike Bloomfield on lead guitar along with veteran studio musician and Wrecking Crew member "Fast" Eddie Hoh on drums and Barry Goldberg, also on keyboards. Bloomfield was available during the first day of recording for Side 1 of the LP (tracks 1-5). For the second day of recording, Kooper brought in former Buffalo Springfield guitarist Steven Stills to perform on the music that became Side 2 of the LP (tracks 6-9). Recorded on a shoestring budget over a 2-day period in Los Angeles, Super Session went on to become a rock classic and earned the trio a gold record for sales of over one million copies. The package includes new liner notes written by Al Kooper that tells the story of the Super Session album and the new 5.1 Multichannel mix. The 5.1 mix by Al Kooper with mastering by Bob Ludwig was never released and yet it has acquired some fame from industry insiders familiar with the Multichannel mix with comments like "excellent" and "it deserves to be heard." The new mastering of the Stereo layer of tracks for new SACD Stereo and CD Stereo audio are by mastering engineer Steve Hoffman. "...some truly spectacular, not to mention, historical rock'n'roll moments."